I'm a Cinema Studies Professor and Department Chair at City College of San Francisco. Previously I have taught at California College of the Arts, Academy of Art University and San Francisco Art Institute. I have a Ph.D. in Media and Communications from European Graduate School and an MFA in Film from San Francisco Art Institute. My work synthesizes scholarship, craft and curation. For a comprehensive overview of my professional experience please take a look at my CV. I have taught a wide array of film courses including history, critical studies, special interest and graduate-level theory. For more information about the courses I've taught, my teaching philosophy and to view samples of my students' work visit my teaching portfolio. My ﻿research﻿ deals with global cinema, especially underrepresented producers including women, avant-garde and underground artists. To read about my books and articles view my publications. I also serve as an editor for an online community focused on women filmmakers. I moderated a Frameline Festival panel on queer underground cinema and curated associated screenings that received support from the Andy Warhol Foundation for the Visual Arts and the National Endowment for the Arts. I have also co-curated an eight screening series of experimental films from the Canyon collection at the National Gallery of Art. To check out my programming view curatorial work. I'm an experimental filmmaker who specializes in optical printing, editing and sound design. I utilize a number of chance operations in my work applying various cut-up methods. To learn more about my films, exhibitions and awards, click on my filmography. 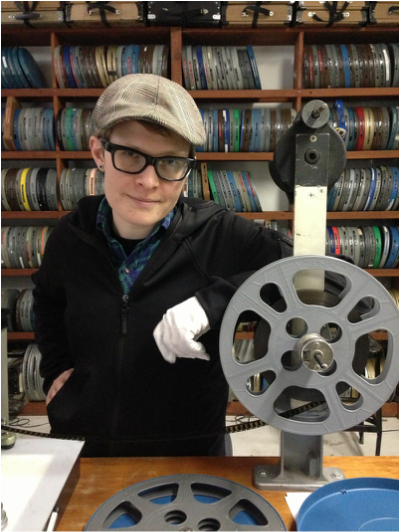 From 2012-2015 I served as the Executive Director of Canyon Cinema Foundation, the West coast source for avant-garde and experimental film prints curating screenings, developing partnerships with arts organizations and distributing a legendary collection of artist-made films to museums, festivals, micro cinemas and universities world-wide. Presently I'm serving as a consultant during the leadership transition.